At Leighterton Primary School, we aim to develop a passion for learning and provide a wealth of opportunities both inside and outside the classroom. We provide an exciting, broad, balanced curriculum to prepare the children for later life in society. We meet the individual learning needs of pupils, as well as their spiritual, moral, social, cultural and physical development. The pupils cover a wide range of learning experiences through stimulating and focussed activities, developing an interest in learning through creative and enjoyable work. Often when children are working on a project, their learning encompasses several subject areas both academically and socially. We use the National Curriculum in school which consists of the core subjects – English, Maths, Science and Computing and foundation subjects – Design and Technology, Geography, History, Art and Design, Music, Modern Foreign Languages and Physical Education. Religious Education is also taught to every child, where spirituality, morality and cultural issues of faith are explored. Children are introduced to the beliefs of Christianity, along with an insight to other religions of the world. Parents’ wishes are respected if withdrawal from RE is requested on religious grounds. 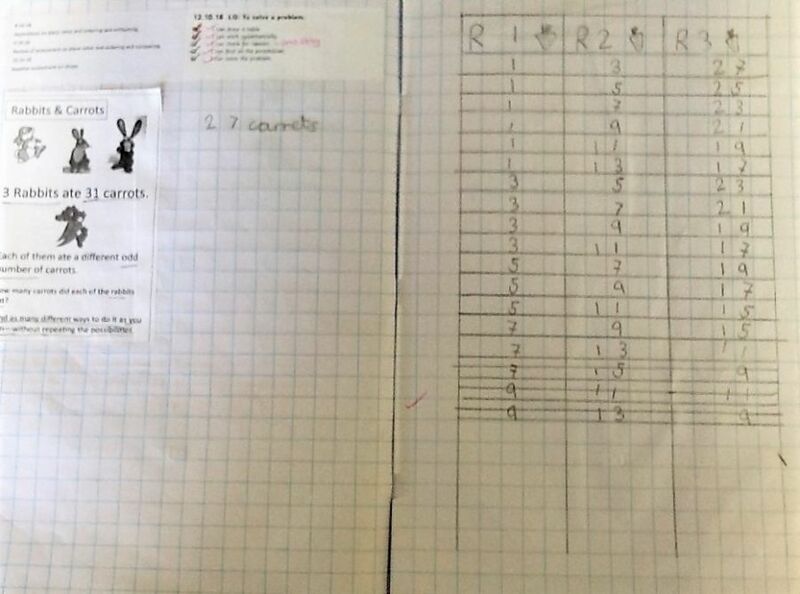 Please discuss this with the Head teacher. A range of teaching methods and strategies are used to best suit the development of the child as a “whole learner”. We send home information about the topics the children will be covering, encouraging families to help and support the work in school. The Reception Year is a vital transition between home and school. During this first year the children follow the “Foundation Stage” curriculum, which helps them secure a good basis on which to build future learning. The Foundation Stage is organised into six areas of learning: Communication, Language and Literacy; Mathematical Development; Knowledge and Understanding of the World; Creative Development; Personal, Social and Emotional Development and Physical Development. Much of their early learning is through play, enabling children to discover and gain knowledge at first hand, as well as acquiring basic skills in literacy and numeracy. We provide a rich and varied range of experiences to encourage children to become enthusiastic, inquisitive and independent learners. In this way children are well equipped with the skills and knowledge required for the National Curriculum, which they start as they move into Year One. 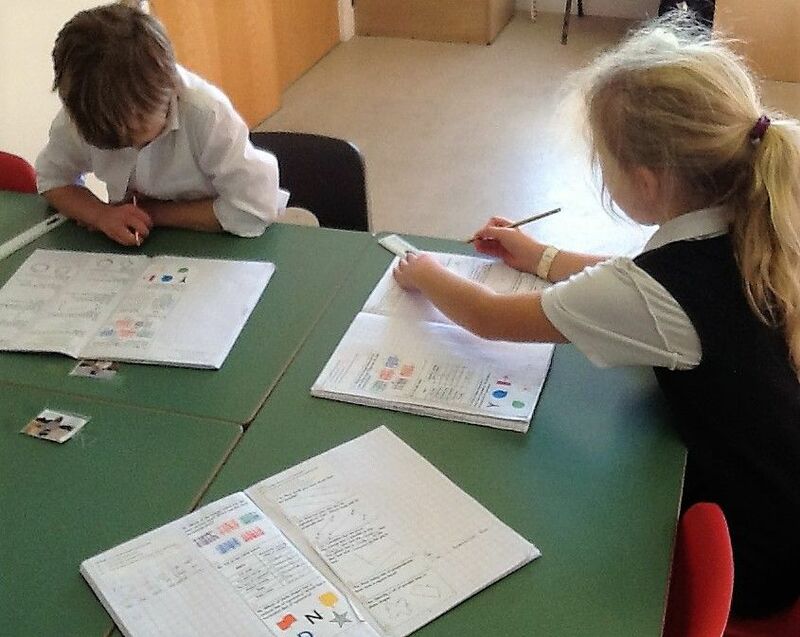 Throughout the Reception Year the children are assessed against the Foundation Stage Profile. 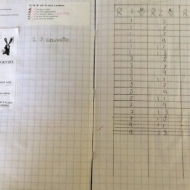 This assessment is mainly observation-based and is used to build a picture of the children’s skills and abilities. In Years One and Two, children are taught the National Curriculum through topic-based work. For five to seven year olds, learning consists of active, practical activities so that children develop their skills and knowledge through experience and investigation. Opportunities are provided for children to discuss and develop their ideas with a teacher or support assistant and children record their ideas. Adults encourage children to discover for themselves through careful questioning to extend the children’s learning. 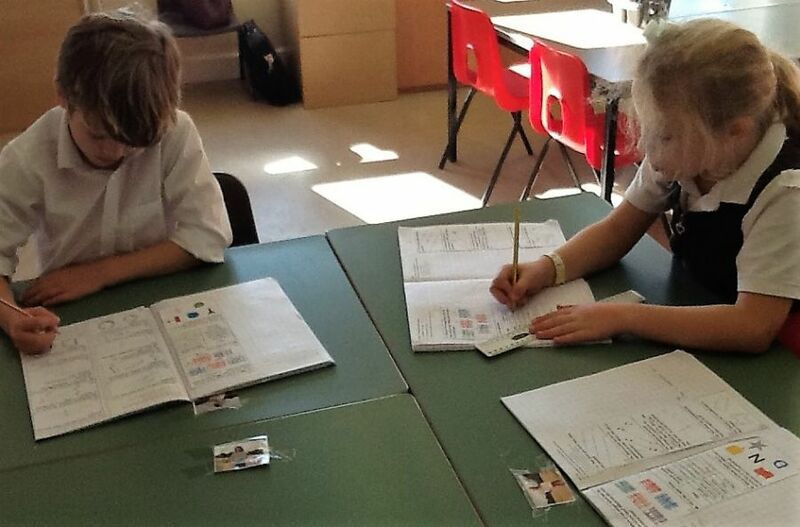 The classroom has specific areas of learning, to ensure consistency of approach across the key stage. Children have access to a writing area, book corner, mathematics area, role play, art and craft area, sand or water exploration, computers, construction equipment and outdoor garden areas. 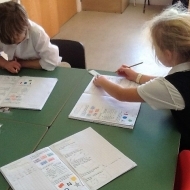 At the end of Year Two pupils are given a Teacher Assessment that is submitted to the Local Authority. To support teachers in making their judgments, the pupils carry out a range of standardised tests, sometimes known as SATs. These tests are used in conjunction with other assessments including observations, work samples and other informal tests. 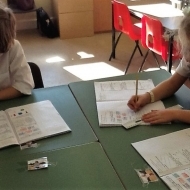 There are four year groups in Key Stage Two, taught in two classes. The children are taught in a variety of groupings, whole class, ability grouped and in small groups when appropriate. We endeavour to develop the children’s learning skills through encouraging them to initiate their own questions and use a wide variety of sources to find the answers and present this information to their peers. English and mathematics are taught daily. The curriculum is based around broad topics that encompass a range of subjects. Cross-curricular links are made wherever possible to provide meaningful contexts in which the children can apply their learning, literacy and numeracy skills. There is national testing in May for Year 6 children. Individual results are published to parents showing the standard the child has reached in relation to the nationally expected achievements for that age group. A general summary is also published to show the progress of the whole year group. A copy of the most up to date results is included in this prospectus. The parents of the children in Year 6 are given the opportunity to choose their secondary school. Each of the local secondary schools gives the parents an opportunity to visit and make an informed choice regarding their child’s next school. We have good links with the local secondary schools and the pupils are invited to ‘Link Days’ in June of Year 6, as a taster of what is to come. Staff from secondary schools also visit our school and make contact with the pupils transferring to their schools. Transfer from primary to secondary can be an anxious time for both pupils and parents; we aim to keep this to a minimum. If you have any worries or queries regarding this matter please contact us at school.